Thu., May 3, 2018, 1:56 p.m.
ASOTIN - Police are trying to determine whether a cowboy boot found north of Chestnut Beach in Clarkston belongs to a missing Idaho County woman. A woman’s pink and brown Ariat boot was turned into the Asotin County Sheriff’s Office this week after it was discovered upside down on a tree limb along the Greenbelt Trail on the Washington side of the Snake River. Asotin County Detective Jackie Nichols said the boot was wet and appeared to have been in the water. Shawnta L. Pankey, who has been missing since mid-April, was last seen wearing a similar pair of boots. The 25-year-old Grangeville woman and her boyfriend reportedly were camping at Pine Bar along the Salmon River south of Cottonwood on the weekend she disappeared. 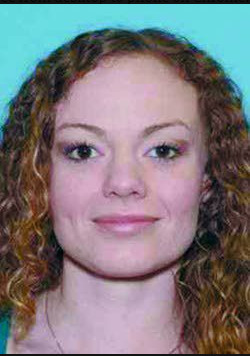 Pankey was last seen about 10 a.m. April 15, according to information given to the Idaho County Sheriff’s Office by the boyfriend. Pankey’s boyfriend, who has not been identified, told police the couple had an argument and she took off on foot. Her mother reported her as a missing person April 16 when she failed to pick up her child. Authorities are actively following up on tips, including a recent report of a woman walking along a road about 3 miles from where Rice Creek flows into the Salmon River. The possibility of Pankey’s boot drifting downstream to Clarkston is now part of the investigation. The Asotin County Sheriff’s Office is asking anyone who may have lost a similar boot to contact Nichols at (509) 758-2331. Published: May 3, 2018, 1:56 p.m.